Want a lot of lens for a little price? The bargain lens page is for you. A lens with no purpose in your kit is not a good value - and a waste of your money at any price. While not all of the lenses I include on this page have everything going for them, they all can have a purpose in your kit. And good image quality is a minimum requirement. An attractive price is of course another requirement. These are the great value lenses - the Canon bargains. I was very skeptical of this lens when it was introduced, but ... the 40 STM is the real deal. The image quality and performance of this lens are impressive for a lens costing even many times the price tag of this one. There are very few downsides - everyone can add this lens to their kit. I think it is the best bargain in Canon's lens lineup. Throw it in your pocket for a backup lens - or use it for a camera body cap. 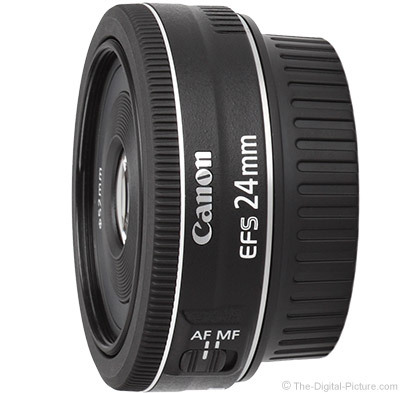 That is what I said about the EF 40mm STM Lens and the EF-S 24 STM is nearly identical in all aspects to the 40. The exception is the focal length and mount compatibility. Being an EF-S lens, the 24 STM mounts only on APS-C/1.6x DSLRs and on these cameras, the 24mm focal length nearly matches the 40mm's angle of view on a full frame body. This is a great lens, especially for the price. Throw one in your kit. 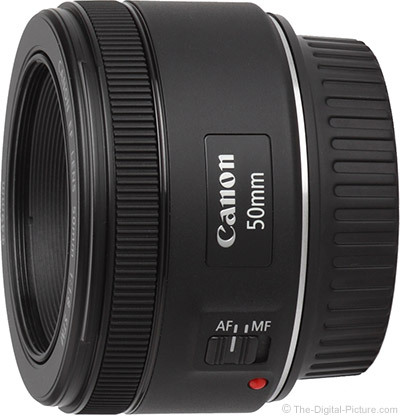 The 50 f/1.8 II was a highly popular introductory prime lens for many photographers and the 50mm f/1.8 STM takes this lens up a solid notch in build quality and features. While this lens is not high on the wish list of most professionals, delivering good stopped-down image quality while having the lowest price of any Canon lens lands the 50 STM at the top of Canon's best sellers list. Welcome to the Canon L Lens Series - I'm sorry, but you can never go back. The 70-200 f/4L is a completely pro-grade lens with image quality, build quality and AF performance that will draw you into the L-Series forever. All of this comes at a price that is not far from consumer zoom lens pricing. 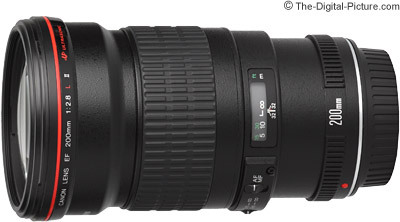 Wildlife photographers on a tight budget need to look no further than the Sigma 100-400 Contemporary lens. For a value price, this lens avails the reach-out-and-touch focal lengths so greatly needed for this purpose. Landscape photographers also want great image quality and long focal lengths are often needed for this pursuit. In this case, great image quality comes in a light and compact (relatively speaking) package that will also be appreciated. The aperture isn't terribly wide, but this lens is a great value for sports photography, especially for the larger fields. 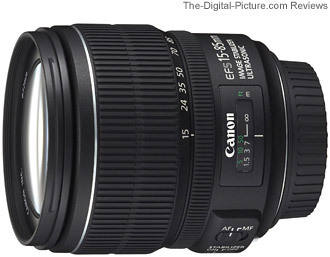 The APS-C format-only EF-S 15-85 has, aside from L-series treatment, most of what I'm looking for in a lens. Including great image quality. This lens shows up in more than one of my recommendations pages - and is one of my first choices when evaluating new DSLR cameras. 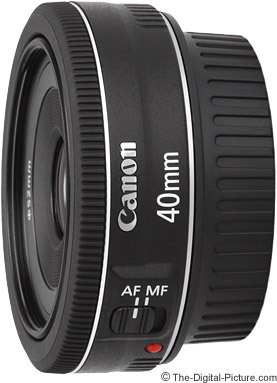 With the 17-40 L, you get as-good-as-Canon-zoom-lenses-get in this focal length range f/5.6 and narrower image quality for a modest price. 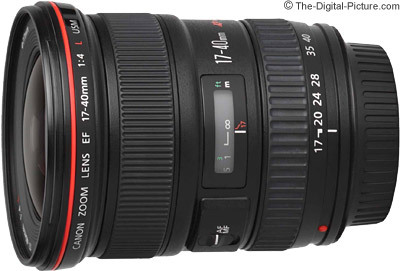 The 17-40L has the fullL lens treatment including great weather-sealed build quality and fast AF. 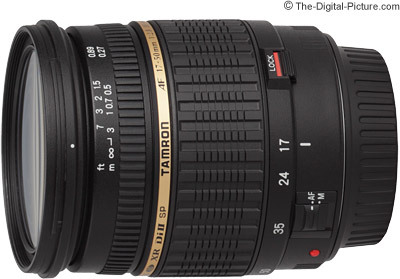 The APS-C format-only Tamron 17-50 non-VC has been a long time favorite due to the sharp image quality it delivers in a widely desired general purpose focal length range. The wide f/2.8 max aperture over the entire focal length range will not leave you wanting. The 200 f/2.8L II gives you a wide f/2.8 aperture in an impressively built lens with fast Ring USM AF. The image quality from this lens will impress. As will the price. 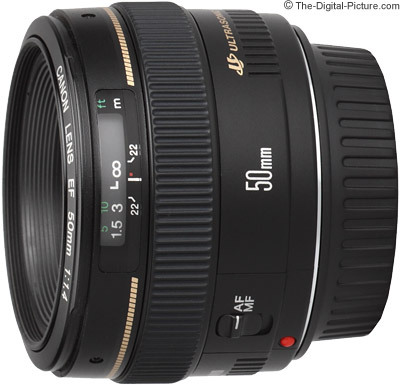 While you could buy a few EF 50mm f/1.8 lenses for the price of one EF 50 f/1.4, the f/1.4 version is still a very good deal. It is soft at f/1.4, but it is razor sharp at f/2.8 - which is still a rather wide aperture. The price, size and weight of this lens are all very attractive attributes. Build quality and AF speed are not - though it is much better than the f/1.8 in these regards. 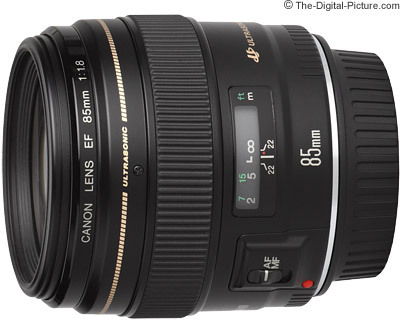 The Canon 85 f/1.8 is a nicely-priced, wide aperture compact prime lens with very good image quality and fast autofocus. It makes a great portrait or indoor sports lens. The price is right. A cheap lens is not complete without a cheap camera behind it. Check out our Cheap, Budget, Bargain, Best Deal Camera Recommendations page to get our recommendations. Visit the Canon Lens Recommendations page for more lens advice.